Our last wedding cake of 2015 took me off to Newland Hall, Chelmsford for Emily and Stefan’s wedding. They hired my tree slice cake stand for their 3 tier iced wedding cake and it became apparent when I walked into the marquee – they had lots of rustic touches for the decorations which looked lovely. 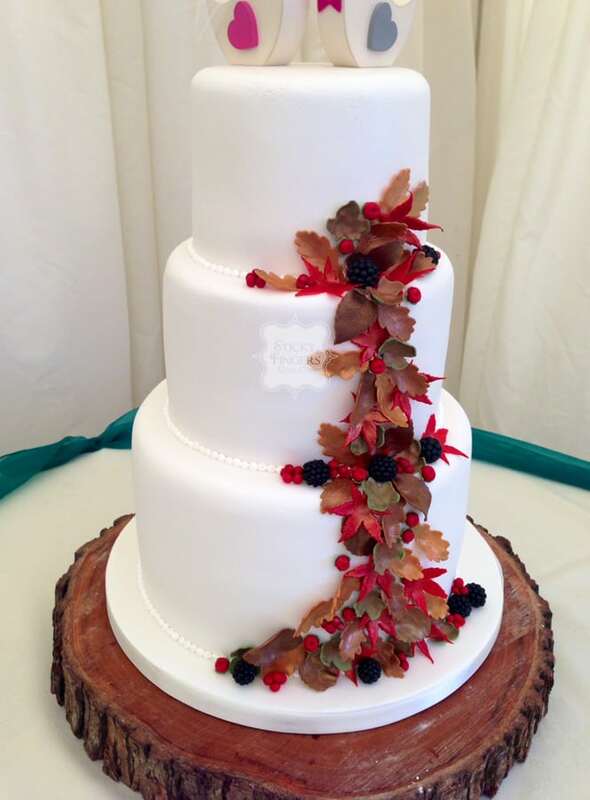 They chose to have a tumbling Autumn leaves, berries and acorns design (all made from sugar!) on their cake which fitted in beautifully with their theme. The flavours they chose were dark chocolate, Madagascan vanilla and fruitcake.